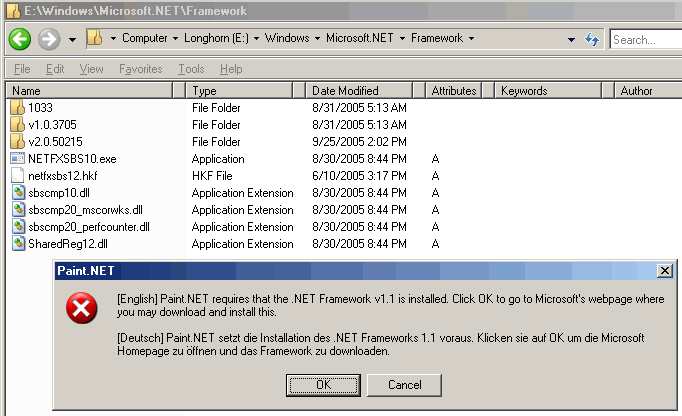 Seen today on Windows Server Codename Longhorn, Build 5219 (the PDC build). At first, I thought Paint.NET was kidding me, but once I checked with Windows Explorer, I knew this was for real. Doh!